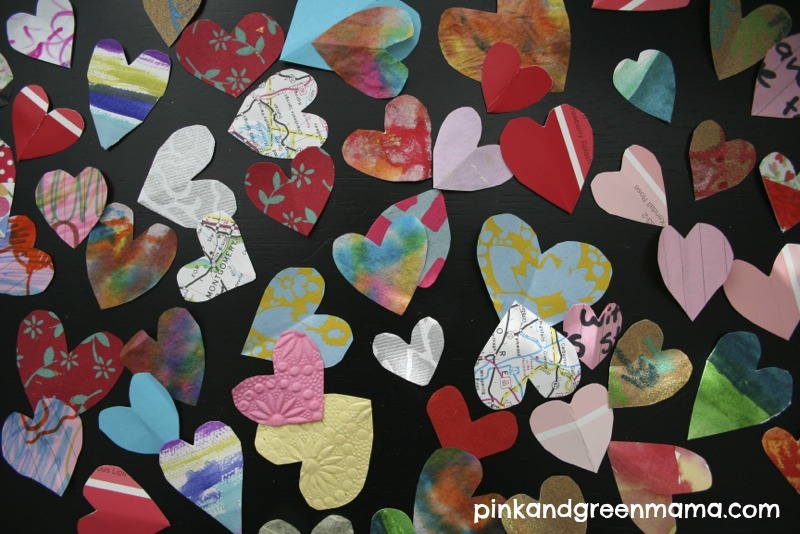 Pink and Green Mama: * This Year's Stitched Heart Valentines: Recycle Artwork to Make Easy and Beautiful Cards! * This Year's Stitched Heart Valentines: Recycle Artwork to Make Easy and Beautiful Cards! paint samples, maps, and watercolored coffee filters, and fun paper scraps! 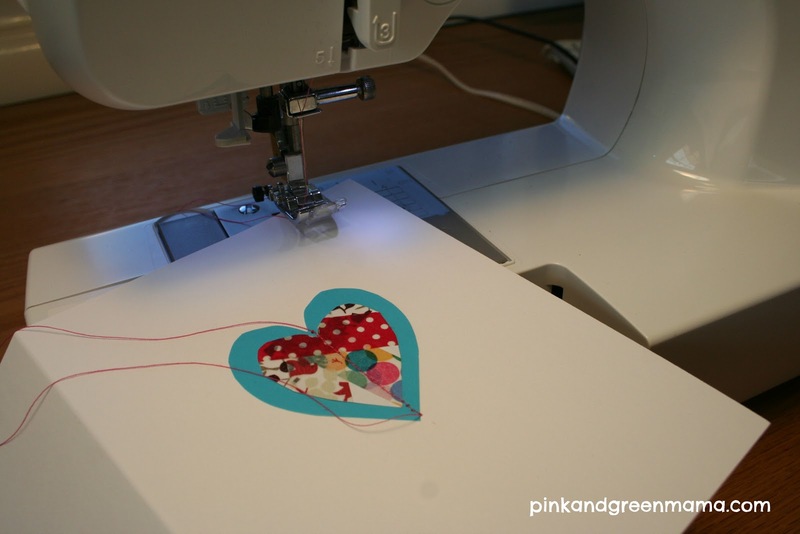 I first debuted this project on my blog here in 2010. We love them so much, we decided to make them again. 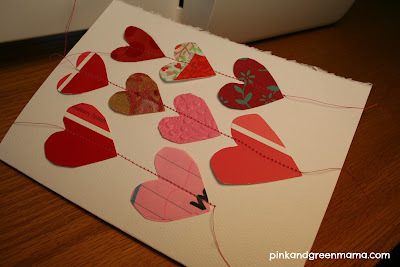 This year's scrap heart pile was so pretty on my desk that I took a photo! I'm thinking it would make a cute screensaver for my computer this month. Same technique as last time. 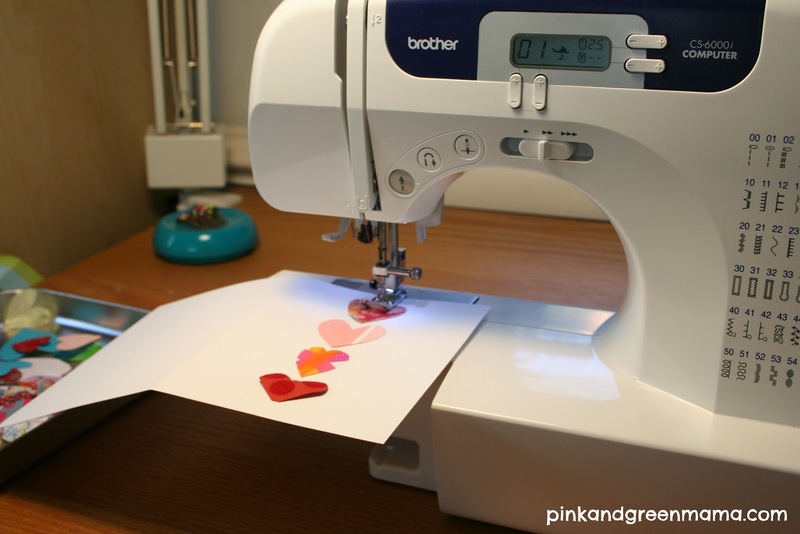 If cutting out hearts isn't your thing, you could use a heart shaped craft punch! I used hot pink thread this year (red last time) in the sewing machine. 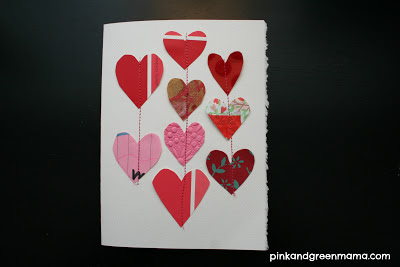 Just sew a straight line through the paper to stitch the hearts in place on the card. on the inside of the card if you were worried about them unraveling. 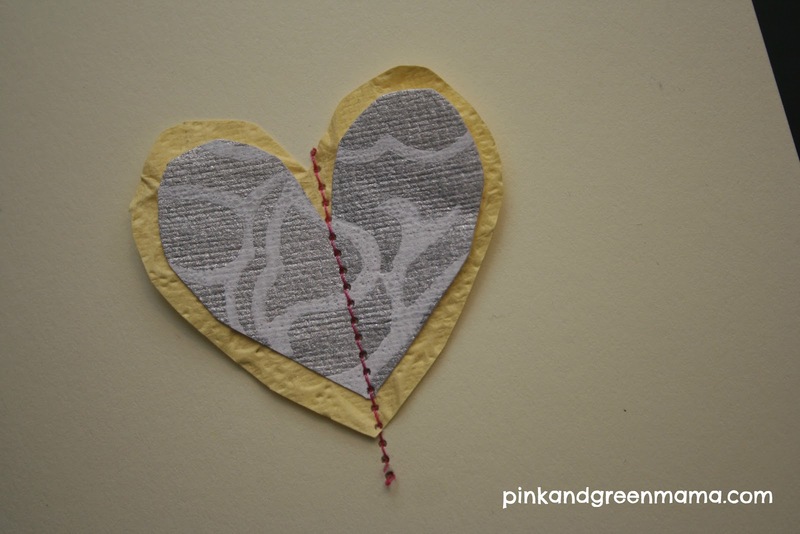 Close-up of my yellow and gray heart on a creamy, pale yellow card. We even stitched up this heart that was from a cut up/re-cycled washi tape picture! but three(!) rows of stitched hearts. They remind me of balloons! 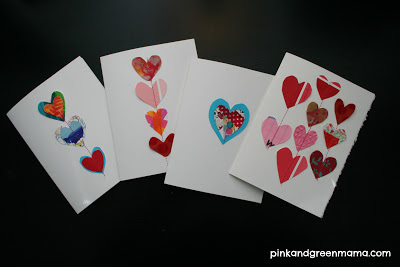 A cute little set of homemade valentine cards, ready to send! and anniversary cards for your sweet heart. cut from a map of our honeymoon destination.